If you want to know if Hyrule Historia has any info about a question you may have, this is the thread for you. If you have a simple theory but don't feel like writing all those pesky arguments, this is the thread for you. If you want to prove your salt as an answerer or asker of difficult questions, this is the thread for you. - no more threads asking questions in the OP that get answered within the first two posts. This'll get rid of clutter. - members basically have free reign to ask whatever without being judged, which is a great creative process. - active theorists get to show off their activity by answering every question before others get the chance. - veteran theorists get to show off their knowledge by asking difficult questions which only they can answer. - don't argue in this thread. If you're insistent on starting an argument, quote the relevant post and copy + paste it in a new thread or simply go to VM or PM. - only questions and answers related to the games' universe. Yes to questions about interlopers, no to questions about how much the Wind Waker costs these days. - do some research before answering any questions. No uncertain guesses based on shaky evidence, unless there really isn't an answer to the question. - don't post full pagelong theories here, they could use their own thread. Leaving extensive replies, on the other hand, is okay. Now then, let's kick this baby off. First question: Could the Great Deku Tree Sprout be related to regular Deku Sprouts? The post was edited 6 times, last by gamtos ( Nov 22nd 2013, 12:13am ). Forgive my ignorance, but what is a "Deku Sprout"? DING DING DING! ASBW got the first answer right, it was a trick question, there is no such thing as a regular Deku Sprout. ... I need sleep =_= next question! Ask any, even if you know the answer. Not including Demise, we've seen three different villains that go by the name Ganon, right? To my knowledge, we have the main Ganondorf from OoT, AlttP, OoX, TP, and WW, the Ganondorf that destroys Hyrule in the original LoZ, and the incarnation that is currently imprisoned within the four sword in the child time line. Is this correct? Please don't spoil ALBW if it's relevant to the answer. LOZ Ganon is the same Ganon seen in all the other games you mentioned except for FSA. Otherwise you are correct. Really? I thought we killed OoT Ganon in AlttP. Was he just sealed away after he was resurrected at the end of the Oracle games? No. He was killed in ALttP, revived and killed again in OoX, then revived and killed again in LoZ,. It's dumb, I know. I'm afraid that properly answering this question will require spoilers from ALBW, so I won't go into detail about that. I'll just say this: according to Hyrule Historia, Ganon gets resurrected some time before LoZ. The post was edited 1 time, last by StinksAwakening ( Nov 22nd 2013, 4:30pm ). What incarnations of the hero have no real reason, given or heavily implied, to be wearing the classic green tunic? ALttP Link, LoZ/AoL Link, FSA Link, ALBW Link. These guys are all wearing the green tunic but we dont see why. They are..just wearing it. Leading a demon army, he invades Lesser Hyrule, seeking the Triforce. What exactly does it mean by Lesser Hyrule? Leeser Hyrule is the territory still ruled by the Hyrule royal family during LOZ and AOL. They lost a lot of territory following the sleeping Zelda incident. Close, but not quite. ALBW Link wears his tunic because it's what all of the blacksmiths seem to wear. Question: was it ever established how Link's "hammer space" works in-universe? The post was edited 2 times, last by gamtos ( Nov 25th 2013, 3:32am ). It never was, but if you want a noncanonical answer, I have one. Starting with AlttP Link, all Links until SS Link used magical pouches, similiar to Dungeons&Dragons' Bag of Holding. Even though the western animation of The Legend of Zelda is noncanonical to the series, a magical pouch is shown being used by the protagonists. The LoZ/AoL Link wears all the items on him at the same time. I have yet to see it again on other Links. Question: Why does Lanaryu's ocean of the past resemble the Great Bay from Termina so much? "That was me as well!" Or if you prefer moon speak... "SORE MO WATASHI DA!" ^^ That's a bit subjective, is it not? Theres no confirmed relation between the two, and unfortunately, I cannot peer into your mind and see why you believe they look alike. The only real similarities I could see is that they're both marine areas located in the west on their games' maps. Aside from that, I don't really know what else you are seeing in Lanayru that resembles GBC. The post was edited 1 time, last by StinksAwakening ( Nov 25th 2013, 6:51am ). 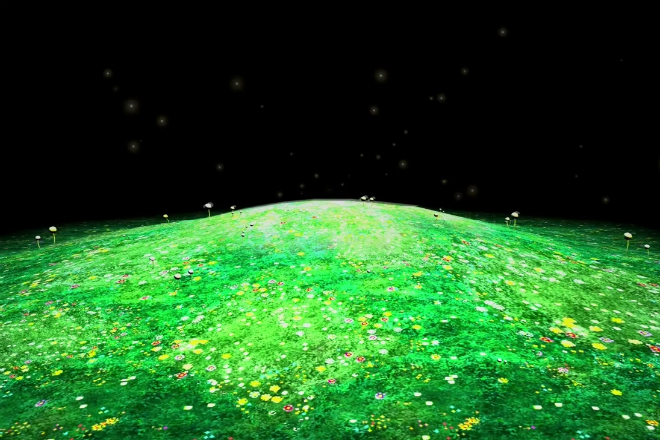 I have faith, that both Termina (as the japanese manual stated it as a Parallel World/Universe) and Hyrule were identical at one point until a specific quantum super position took place, which made Termina and Hyrule to the worlds we know. Lorule was also the same in the past, except it didn't became a Termina-like world, but a ruined world because events occured differently. In case you still do not understand my explaination of states and quantum superpositions, perhaps this one will do it. Baton and the others may disagree with me, but I have great faith in science. The post was edited 1 time, last by Thanatos-Zero ( Nov 25th 2013, 7:36am ). Nope. But to add to Thanatos-Zero's answer, we know that the Minish, who seem to be capable of changing the sizes and masses of things, were at one point allies of the Hylian Royal Family. Obviously, the answer is that they created a method for shrinking stuff when placed into a pouch, and restoring it upon retrieval. That was so useful that the Hylians adopted it themselves. Hyrule's Last Hero doesn't use them because, well, dark age. Excellent addition Darth Yoshi.. ehm I mean Jedi Master Sagan. Since no one bothered to ask, I will state the next question. Question: The Era of Chaos discribed in Hyrule Historia sounds alot like the backstory narrated by the Spirit of Light Lanaryu about the fight for the Triforce, which caused a civil war. Is there more evidence, which heavly suggests that the backstory told in Twilight Princess and the Era of Chaos from HH are one and the same event in Hyrule's History? The post was edited 1 time, last by Thanatos-Zero ( Nov 25th 2013, 3:35pm ). There is evidence that suggests that they are the same, or at least, took place in close proximity. Both stories begin by briefly recounting the creation of Hyrule by the gods. Then they both say that the world knew peace for many years. Then they both tell of a conflict that stirred up among them that had to do with obtaining power. The people fought and killed one another. The Era of Chaos's description specifically says that word of the Triforce began to spread, and the people became greedy and fought over the Triforce. It also implies that the Triforce was still within Hyrule itself. Link, as we see here, has just killed Ilia and is shown running lustfully towards the Triforce. Then of course, we have the "interlopers", who appear out of nowhere and corrupt Link. We are shown the same meadow that was seen in the beginning of Lanayru's narrative, but the Triforce is now missing. I kind of think this symbolizes the sealing of the Triforce in the Sacred Realm. The way that Lanayru's story is told kind of makes it seem as though the Interloper War was Hyrule's first major conflict since the ending of Skyward Sword. However, as demonstrated in ALBW's prologue, it's certainly possible that Lanayru's narrative spans several eras and several events were combined into one. In other words, just because Lanayru mentioned the creation of Hyrule before talking about the war doesn't necessarily mean that the Interloper War was the first major thing to happen since the creation(aside from what we saw in SS, of course). There are details and major events that could have been left out. It's possible that the war occurred in a completely different era than the Era of Chaos, but they just don't say that because it's not relevant to the point Lanayru was trying to get across. It is my personal opinion that the Interloper War was, at the very least, a part of the Fierce War that was said to have "raged unabated for countless eras.". The post was edited 2 times, last by StinksAwakening ( Nov 25th 2013, 8:50pm ). I was under the impression that conflicts over the Triforce occured every now and then. The Interloper conflict was one of these conflicts. HH gives the following timeline: era of chaos / Rauru builds Temple of Time -> TMC -> FS -> Fierce War -> OOT (until Link is defeated) -> sealing of Ganon -> another Triforce conflict -> Seal War -> ALTTP -> golden age -> sleeping Zelda -> many Triforce conflicts. The post was edited 2 times, last by Ganon Vader ( Nov 25th 2013, 9:14pm ). Did you really have to quote my entire post to make that little tiny reply? The Interloper War couldn't have occurred after the sealing of Ganon, as he doesn't get sealed on the Child Timeline. He does get sent to the Twilight Realm, but Hyrule Historia specifically says that there was peace in between the time that Ganondorf was sent to the TR and when Zant invaded Hyrule. Of course, Sleeping Zelda doesn't happen on the Child Timeline either, so we can cross that out as well as the events that happen after that. Judging by the presence of the Mirror of Twilight in Ganondorf's execution (which only took place a few years after OoT's child ending), we can infer that the war took place before Ocarina of Time. Also, the fact that the Triforce had already been split by the time Ganondorf was executed means that if the people were in fact, fighting over the Triforce, then it would have had to be before Link arrived on the Child Timeline, or else they would have been fighting over nothing. Thus, out of all those things you posted, it could either be during the Fierce War, or Era of Chaos. Or any period in between the two. The post was edited 1 time, last by StinksAwakening ( Nov 25th 2013, 9:37pm ).